Start Hotspot Restaurant WiFi software helps you improve your WiFi and guest satisfaction. 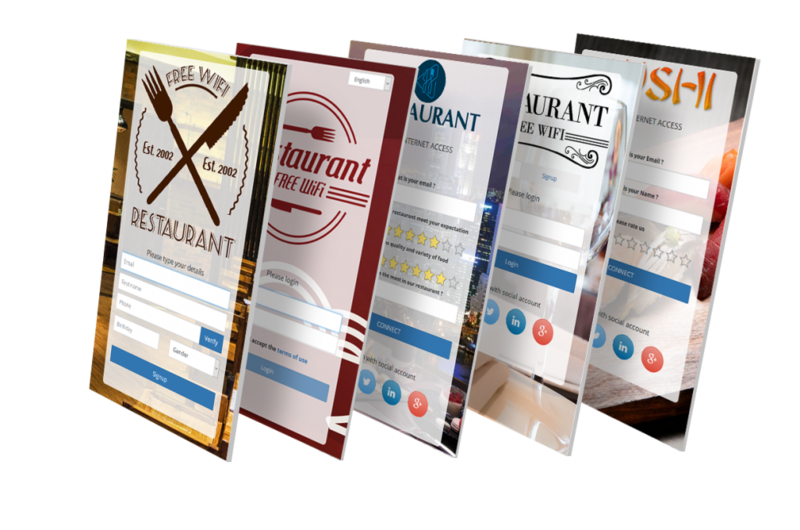 Create a free or paid Restaurant Internet access, engage guests with advertisements, collect surveys and understand what you can do better to improve guest satisfaction. 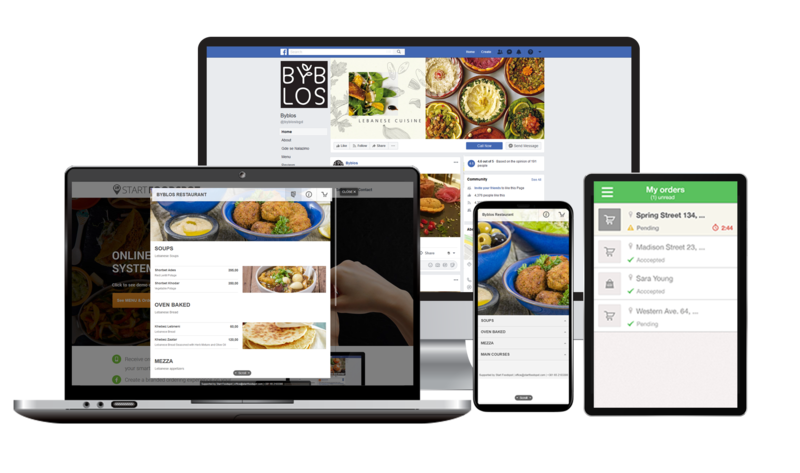 Start Hotspot Restaurant WiFi allows you to track your customer’s behaviors, analyse the demographics and habits of your visitors, display location-based ads or fully-featured campaigns that target customers by age, gender and interest. Take your WiFi to the next-level and improve quality of the Internet service, guest satisfaction and overall restaurant review rating. Today’s guests expect excellent WiFi in every restaurant, cafe or bar. A fast and reliable WiFi network with uninterrupted wireless coverage over the entire facility is just a starting point to satisfy guests. Improve your business and attracts new customers by offering WiFi in your restaurant, send specials based on customer interests, put the latest promotion, offer discounts, collect guest surveys or display a coupon to be redeemed at your restaurant. 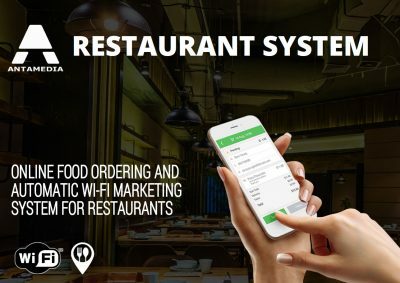 How Restaurant Wi-Fi Works ? Upon accessing your hotspot, guest is automatically redirected to the Restaurant self-branded login page. Once logged-in, guest may be redirected to view desired website or promotion page. Each connected device is limited with download and upload speed, available bandwidth transfer, time to use your service, so you can ensure excellent WiFi experience for all your guests. 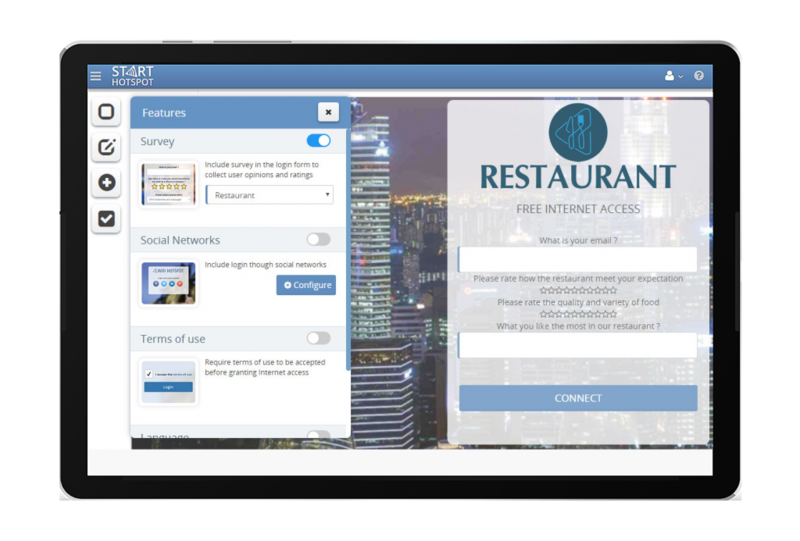 Start Hotspot Restaurant WiFi software will control the session duration, speed and bandwidth, and optionally collect your customers e-mail, name, address, for your safety and marketing activity. The Antamedia Restaurant System can help you increase your earnings by an average of 30%, using a combination of two next-generation software. The system combines the WiFi network as a marketing channel with software for ordering and booking tables. Boost revenue by reminding guests to visit again or order food for delivery. Easily integrate StartFoodspot Online food ordering system with Restaurant WiFi. Create a branded ordering experience on your website or Facebook page and receive orders and reservations directly on your smartphone or tablet. Learn how to improve your WiFi using a combination of two next-generation software, Start Hotspot Cloud WiFi software and StartFoodspot Restaurant online food ordering system.